In addition to the definitions provided in this section, the definitions contained in this title, Chapter 90.58 RCW, and Chapters 173-26 and 173-27 WAC apply within the shoreline jurisdiction. Where definitions in this chapter conflict with definitions elsewhere in this title, the definitions provided in this section shall control. Access, public or public access: means the ability of the general public to reach, touch, and enjoy the water’s edge, to travel on waters of the state, and/or to view the water and the shoreline from adjacent locations. Accessory structure: means a structure that is incidental to and on the same site as the principal structure. Agricultural activities: means agricultural uses and practices including, but not limited to: producing, breeding, or increasing agricultural products; rotating and changing agricultural crops; allowing land used for agricultural activities to lie fallow in which it is plowed and tilled but left unseeded; allowing land used for agricultural activities to lie dormant as a result of adverse agricultural market conditions; allowing land used for agricultural activities to lie dormant because the land is enrolled in a local, state, or federal conservation program, or the land is subject to a conservation easement; conducting agricultural operations; maintaining, repairing, and replacing agricultural equipment; maintaining, repairing, and replacing agricultural facilities; provided, that the replacement facility is no closer to the shoreline than the original facility; and maintaining agricultural lands under production or cultivation. 4. Roadside stands and on-farm markets for marketing fruit or vegetables. Agricultural land: means those specific land areas on which agricultural activities are conducted as of the date of adoption of this code, as evidenced by aerial photography or other documentation. After the effective date of the master program, land converted to agricultural use is subject to compliance with the requirements of the master program. Agricultural products: includes, but is not limited to, horticultural, viticultural, floricultural, vegetable, fruit, berry, grain, hops, hay, straw, turf, sod, seed, and apiary products; feed or forage for livestock; Christmas trees; hybrid cottonwood and similar hardwood trees grown as crops and harvested within twenty (20) years of planting; and livestock including both the animals themselves and animal products including, but not limited to, meat, upland finfish, poultry and poultry products, and dairy products. Aquaculture: means the culture or farming of fish, shellfish, or other aquatic plants and animals. Associated wetlands: means wetlands that are in proximity to tidal waters, lakes, rivers or streams that are subject to the Shoreline Management Act and either influence or are influenced by such waters. Factors used to determine proximity and influence include, but are not limited to: proximity to a regulated shoreline, susceptibility to tidally-influenced geo-hydraulic processes, presence of a surface connection, including through a culvert or tide gate; location in whole or in part within the floodplain of a shoreline; periodic inundation; and/or hydraulic continuity. Average grade level : within the shoreline jurisdiction means the average of the natural or existing topography of the portion of the lot, parcel, or tract of real property which will be directly under the proposed building or structure. In the case of structures to be built over water, average grade level shall be the elevation of the ordinary high water mark. Calculation of the average grade level shall be made by averaging the ground elevations at the midpoint of all exterior walls of the proposed building or structure. Base flood: See Chapter 14.270 SMC and 44 CFR 59.1. Breakwater: means an in-water structure, either floating or not, designed and purposed to absorb, dampen, or reflect wave energy. Building height: means the measurement from average grade level to the highest point of a structure, except that television antennas, chimneys, and similar appurtenances that do not obstruct the view of the shoreline from a substantial number of residences shall not be used in calculating height. However, temporary construction equipment is excluded in this calculation. 6. Provide habitat for wildlife. Buffers may be modified and reduced to accommodate allowed uses when consistent with the Act and this program, and when conducted so that no net loss of critical area or shoreline ecological functions occurs. Under optimal conditions, buffers are composed of intact native vegetation. Buffer widths are measured horizontally. Bulkhead: means a solid or open wall of rock, concrete, steel, timber, or other material erected generally parallel to the shoreline for the purpose of protecting upland areas from inundation, saturation, waves, current, etc. A bulkhead may have earthen fill placed upland of the wall structure. Channel migration zone: means the area along a river within which the channel(s) can be reasonably predicted to migrate over time as a result of natural and normally occurring hydrological and related processes when considered with the characteristics of the river and its surroundings. Commercial: means a use that involves wholesale or retail trade, or the provision of services. Development: means a use consisting of the construction or exterior alteration of structures; dredging; drilling; dumping; filling; removal of any sand, gravel or minerals; bulkheading; driving of piling; placing of obstructions; and/or any project of a permanent or temporary nature which interferes with the normal public use of the surface of the waters overlying lands subject to this chapter at any state of water level. Dredging: means the removal, displacement, and/or disposal of unconsolidated earth material such as sand, silt, gravel, or other submerged materials, from the bottom of water bodies, ditches, or wetlands; maintenance dredging and/or support activities are included in this definition. Ecological functions or shoreline functions: means the work performed or role played by physical, chemical and biological processes that contribute to the maintenance of the aquatic and terrestrial environments that constitute the shoreline’s natural ecosystem. 3. The action does not physically preclude achieving the project’s primary intended legal use. In determining an action’s infeasibility, the Planning Director shall also consider the action’s relative public costs and public benefits, considered in the short- and long-term time frames. In cases where certain actions are required unless they are not feasible or infeasible, the burden of proving infeasibility is on the applicant. Fill: means the addition of soil, sand, rock, gravel, sediment, earth retaining structure or any other earthen or organic material to an area waterward of the ordinary high water mark, in wetlands, or on shorelands in a manner that raises the elevation of, or creates, dry land. Float: means a structure or device which is not a breakwater and which is moored, anchored, or otherwise secured in the water in a manner that allows the structure or device to remain at the surface of the water. Floodplain: is synonymous with 100-year floodplain and means that land area susceptible to inundation with a one (1) percent chance of being equaled or exceeded in any given year. The limit of this area shall be based upon flood ordinance regulation maps or a reasonable method which meets the objectives of the Act. 2. Consists of those portions of a river valley lying streamward from the outer limits of a watercourse upon which flood waters are carried during periods of flooding that occur with reasonable regularity, although not necessarily annually, said floodway being identified, under normal conditions, by changes in surface soil conditions or changes in types or quality of vegetative ground cover condition, topography, or other indicators of flooding that occurs with reasonable regularity, although not necessarily annually. 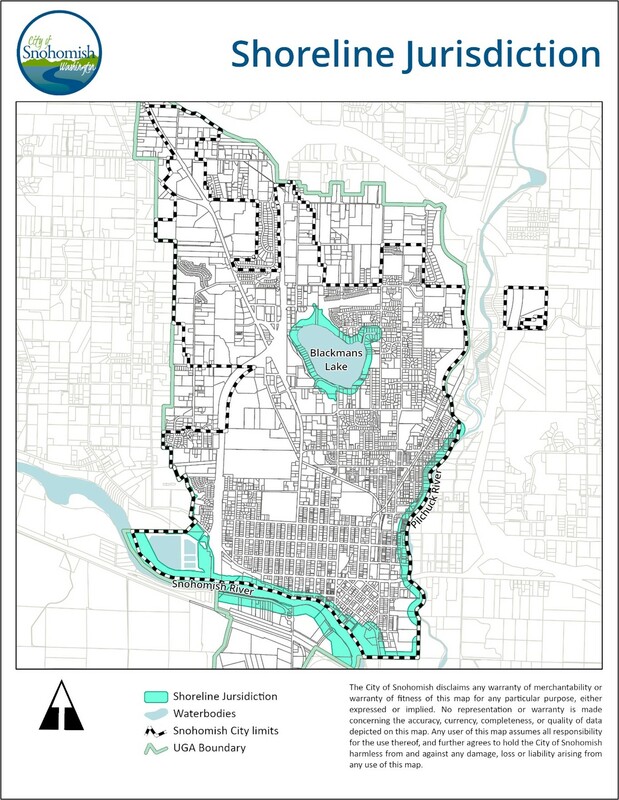 Regardless of the method used to identify the floodway, the floodway shall not include those lands that can reasonably be expected to be protected from flood waters by flood control devices maintained by or maintained under license from the federal government, the state, or a political subdivision of the state. Grading: means the movement or redistribution of the soil, sand, rock, gravel, sediment, or other material on a site in a manner that alters the natural contour of the land. Groin: means a barrier-type structure extending from the backshore into the water across the beach. The purpose of a groin is to interrupt sediment movement along the shore. Hatchery: means a facility for the rearing and/or holding of fish, the design of which is compatible with the natural environment and contains minimal development necessary for fish propagation. In-water utility: means infrastructure related to public infrastructure for domestic water, stormwater, wastewater, power generation, etc., that by nature and common design must be located in or in the immediate vicinity of a river, stream, or lake. Jetty: means an artificial barrier used to change the natural littoral drift to protect inlet entrances from clogging by excess sediment. Marina: means a water-dependent facility that provides launching, storage, supplies, moorage and other accessory services for five or more pleasure and/or commercial water craft. Non-conforming development or non-conforming structure: means an existing structure that was lawfully constructed at the time it was built but is no longer fully consistent with present regulations such as setbacks, buffers or yards; area; bulk; height or density standards due to subsequent changes to the master program. Non-conforming lot: means a lot that met dimensional requirements of the applicable master program at the time of its establishment but now contains less than the required width, depth or area due to subsequent changes to the master program. Non-conforming use: means an existing shoreline use that was lawfully established prior to the effective date of the Act or the applicable master program, but which does not conform to present use regulations due to subsequent changes to the master program. No net loss: means that the Snohomish Shoreline Master Program provisions shall, to the greatest extent feasible, protect existing shoreline ecological processes and functions and avoid new adverse impacts to ecological processes and functions. The term “net,” as used herein, recognizes that any development has potential for short-term or long-term impacts and that through application of appropriate development standards, avoidance of impacts and use of mitigation measures, those impacts will not diminish the shoreline resources and values as they currently exist. This standard is achieved through both the SMP planning process and by appropriately regulating individual developments through the permit review process. Non-water-oriented uses: means those uses that are not water-dependent, water-related or water-enjoyment. Normal protective bulkhead common to single-family residences: means a bulkhead constructed on a lot designated to permit one single-family residence and containing one single-family residence. Ordinary high water mark: , as defined in Chapter 90.58 RCW, as now or hereafter amended and determined in the field, means on all lakes, streams, and tidal water the mark that will be found by examining the bed and banks and ascertaining where the presence and action of waters are so common and usual, and so long continued in all ordinary years, as to mark upon the soil a character distinct from that of the abutting upland, in respect to vegetation as that condition exists on June 1, 1971, as it may naturally change thereafter, or as it may change thereafter in accordance with permits issued by a local government or the department; provided, that in any area where the ordinary high water mark cannot be found, the ordinary high water mark adjoining salt water shall be the line of mean higher high tide and the ordinary high water mark adjoining freshwater shall be the line of mean high water. In cases where the location of the ordinary high water mark is contested, its determination shall rest with the Washington State Department of Ecology. Park: means land maintained for purposes of active or passive recreation. Planning Director: means the manager of the City of Snohomish Department of Planning and Development Services. “Planning Director” means the same as City Planner as provided for in Chapter 2.34 SMC. Principal use parking lot: means a parking lot that is not dedicated to serving the residents, customers, or employees of specific sites or uses but is available for general public use whether free or for a fee. Recreational use: means a private or public facility designed and used to provide recreational opportunities to the public. Water-oriented recreation includes fishing, swimming, diving, hiking, and viewing. Recreational development provides the opportunity for the use and enjoyment of the shoreline by the public. Residential development: means the development of single-family residences, including appurtenant structures and uses. Residential development also includes multifamily development and the creation of new residential lots through land subdivision. Residential development does not include hotels, motels, or bed and breakfast facilities. Restoration or ecological restoration: means the reestablishment or upgrading of impaired or diminished ecological shoreline processes or functions. This may be accomplished through measures including, but not limited to, revegetation, removal of intrusive shoreline structures and removal or treatment of toxic materials. Restoration does not imply a requirement for returning the shoreline area to aboriginal or pre-European settlement conditions. Riprap: means angular, quarry rock used for revetments or other bank stabilization projects. Shall: means a mandate; the action must be done. Shorelands or shoreland areas: means those lands extending landward for two hundred (200) feet in all directions as measured on a horizontal plane from the ordinary high water mark; floodways and contiguous floodplain areas landward two hundred (200) feet from such floodways; and all wetlands and river deltas associated with the streams and lakes that are subject to the provisions of Chapter 90.58 RCW. Shoreline environment designations: means a regulatory classification of shorelines of the state established in the Shoreline Master Program to differentiate between areas subject to differing objectives regarding their use and future development. Shoreline jurisdiction: means all shorelines of the state and “shorelands” as defined in RCW 90.58.030 and as depicted in Map B below. Shoreline Management Act (Act): means the Washington State Shoreline Management Act, Chapter 90.58 RCW. Shoreline modifications: means actions that change the physical configuration or qualities of the shoreline area, such as clearing, grading, or the application of chemicals; or the construction of physical elements such as a dike, breakwater, groin, jetty, fill, bulkhead, or similar shoreline structure. Shoreline stabilization: means actions taken to prevent or diminish erosion impacts to property or structures caused by natural hydrological processes, such as current, flood, tides, wind or wave action. These actions include installation or expansion of structures, such as bulkheads, jetties, groins, etc., and nonstructural methods, such as the planting of vegetation. 3. Shorelines on lakes less than twenty (20) acres in size and wetlands associated with such small lakes. Shorelines of statewide significance: means those shorelines described in RCW 90.58.030(2)(f). Within the City of Snohomish, the Snohomish River is designated as a shoreline of statewide significance. Shorelines of the state: means the total of all “shorelines” and “shorelines of statewide significance” within the state, as defined in RCW 90.58.030. Should: means that the particular action is required unless there is a demonstrated, compelling reason, based on policy of the Shoreline Management Act and this chapter, against taking the action. Sign: means any device, structure, fixture, or placard that is visible from a public right-of-way or surrounding properties and uses graphics, symbols, logos, or written copy for the purpose of advertising or identifying any establishment, product, good, service, or event. 4. Normal maintenance, including mowing and volunteer sapling clearing of utility maintenance corridors and active use recreation areas. Substantial development: means any development as defined in RCW 90.58.030(3)(e), as now or hereafter amended, and which requires a shoreline substantial development permit. Utilities or utility facilities: means services and facilities that produce, convey, store or process electric power, gas, sewage, water, communications, oil, and waste. This includes drainage conveyances and swales. On-site utility features serving a primary use, such as a water, sewer or gas line to a residence, are “accessory utilities” and shall be considered a part of the primary use. For the purposes of this chapter, “utility facilities” does not mean infrastructure for administrative or support functions, such as professional offices, customer service centers, fleet maintenance facilities, storage yards, etc. Water-dependent use: means a use or portion of a use which cannot exist in a location that is not adjacent to the water and which is dependent on the water by reason of the intrinsic nature of its operations. Water-enjoyment use: means a recreational or other use that facilitates public access to the shoreline as a primary characteristic of the use; or a use that provides for recreational use or aesthetic enjoyment of the shoreline for a substantial number of people as a general characteristic of the use and which through location, design, and operation ensures the public’s ability to enjoy the physical and aesthetic qualities of the shoreline. In order to qualify as a water-enjoyment use, the use must be open to the general public and the shoreline-oriented space within the project must be devoted to the specific aspects of the use that fosters shoreline enjoyment. Water-oriented use: means a use that is water-dependent, water-related, or water-enjoyment, or any combination thereof. 2. The use provides a necessary service supportive of the water-dependent uses, and the proximity of the use to its customers makes its services less expensive and/or more convenient.